You are currently browsing the tag archive for the ‘Bursa’ tag. Duas are very powerful; they are conversations between you and Allah. Raise your hands and communicate to Him. We have many needs, we need to ask Allah. Never mention anyone’s faults in front of them, by doing so you hurt their feelings and doing it behind their back is backbiting. Don’t pry on other people and ask their affairs, they may be forced to lie because they didn’t want to tell you in the first place! Slander is haram (forbidden). Focus on the good that people have and not their faults. If you feel speaking evil of someone, then think that you have faults as well so focus on them. Higher level is not even allowing your heart to think bad/evil about someone. As well as inheriting good, we can also inherit bad from them so be careful with the company you chose to keep. Never say no to others when giving charity; even if it is a little bit, Allah never says NO to you when you ask! Life is a journey; we go through different states. People have different spiritual states. We need to learn how to dislike the sin not the sinner. Never let them feel you are judgemental. Allah gives you the tawfiq to repent; so when you repent, know that Allah is going to forgive you. When someone comes and apologise to you, accept their apology! Rights with Allah is easy; when you do something wrong, you ask for His forgiveness. When you wrong others, you need to ask them for their forgiveness. Retail therapy is not therapy, it is a disease! Haya (modesty) is in the heart; our physical movement is what attracts us to the opposite gender. When you are sincere in giving a gift to someone, the recipient will value and treasure it due to your sincerity, regardless of what the gift actually is. If you are the youngest, remain silent in front of elders. Never interrupt people when they are talking! Do not sit amongst sinning people and do not sleep where people are talking. A promise is a responsibility so fulfil promises you make. Manners are based on common sense. Be around good people and good people will teach you good things; be around bad people and you will pick up bad things. When travelling, wherever you stop, pray 2 rakats so that place testifies for you on the day of Judgement, and it won’t be you reminding Allah but that place reminding Allah that you prayed here. There are very few people in this world who want you to succeed more than themselves, and among them are your parents. Even if your parents are wrong, don’t argue with them. Allah is watching every argument. If you please your parents, you will succeed in life. Pray for your departed loved ones; Prayers for the dead are on the same footing as gifts for the living. Pray for your brothers and sisters. When you pray for your brother, an angel replies, ‘and for you the same.’ It’s like buy one, get one free deal! When an elder member dies, it means one of your doors of duas is closed so when they are alive, build your relationship with them and seek their duas. 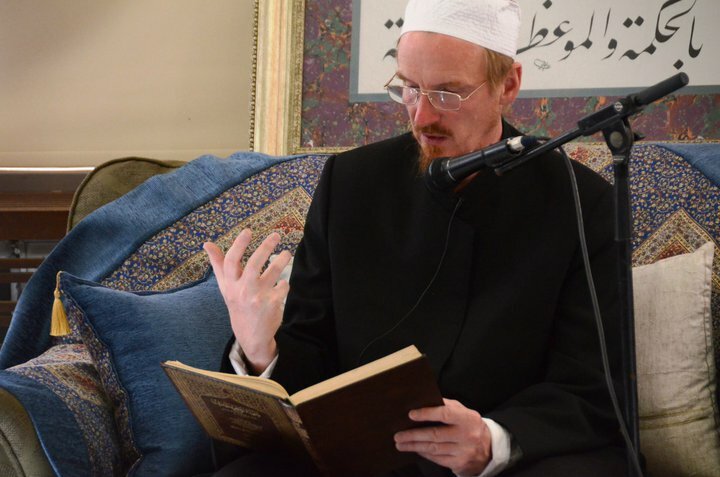 Since it’s Ramadan, I thought I’d share some notes relating to the benefits of fasting, eating less etc, from “Breaking the Two Desires” class we had with Shaykh Abdal Hakim Murad on the Rihla this year. The way of the fitra is to keep things in balance. The dangerous of sins is gluttony, for by means of this desire, Allah expelled Adam and Hawa from the abode of permanence to the abode of humiliation and neediness. In so far they had been forbidden the tree, but their desires overcame them and they ate from the tree. Desire for food is the primal desire which kick starts the whole process of what expelled Adam out of al-Jaanah in the first place. The belly is the fountainhead of desire and the seabed of sickness and defect. It is followed by the desire by sexual relations. The desire for food and physical relations is followed by strong desire for status and wealth, as these provide more opportunities for sexual enjoyment and gluttony. Once we have stuffed ourselves with food, we fill ourselves with other desires. By acquiring wealth and prestige, the vice of ostentation, boasting, pride and arrogance then follows. This then leads to hatred, rancor, envy and other things; which then leads the person who has these vices into oppression and other ugly acts. All of this comes from not paying attention to the stomach and what goes in it. The halal we eat, the adab and attitude towards food is very important. We need to get our attitude right towards food and then the other things will all fall into place. If you get these two things right, you will find the rest of the deen will become a lot easier. Imam al-Ghazali talks about the sunnah of food and eating in the Ihya, but its something which we do not want to think about. The holy Prophet salla’Allahu ‘alayhi wasalam shows us the alternative. His way is a way of zuhd, and not being very interested in a whole lot of food. Fasting helps, eating not too much helps, and not being inwardly attached to food helps overcome the beast within us. We need to be less interested in what is provided, and more grateful for what Allah ahs provided us, i.e being in that maqam of shukr. Allah created our bodies in balance, but we have eating disorders and dieting disorders. People over-eat for many reasons, such as anxiety, fear. The disorder in this world is to do with gluttony. Allah created enough for us to eat but due to greed, we are destroying the planet by eating too much! The holy Prophet sallAllahu alayhi wasalams’ hunger was so great that he would tie stones to his belly. The sacrifices he made when he could have been the lord of the Queresh are unimaginable, and he only made those sacrifices for us. Where as we can be in this hotel and all we do is complain about the buffet! The lives of the awliya have always been focused on the principle of eating less. It’s the quality of the awliya. Through fasting, we are constantly knocking on the door of paradise. 1. Purification of the heart and helping one’s perception to be more penetrating. If you don’t eat so much, you will be more perceptive; your basira (insight) will go much further. Ramadan is hard work, but towards the end of it, we do feel that things in deen are coming to us with more ease. We can feel we are detached from duniya and the hunger you feel, you get used to it so you don’t even notice it much or think about it. You are no longer distracted by hunger, and are in a state of greater purity. 2. Brokenness, humbleness and ending of pride and exuberance. The pride we get into after eating good food, if we are hungry our pride is broken. We experience this in Ramadan. In Ramadan if you have been fasting for 10-12 hours, it is harder to be proud, we are broken a little bit. Pride is deadly of the deadly sins and hunger helps suppress that. 3. Through hunger we do not forget Allah’s trials and tribulations. The one who is always full ignores the one who is hungry and ignores the reality of hunger. However, when we fast, we empathise with those who are hungry. 4. Breaks everyone of the desire for sins, and helps control the nafs- the beast that is within us. 5. Helps us worship more. 6. No need to earn so much if we eat less. If you eat less, you can spend less, and that extra money you are saving can go towards sadaqa. Imam al-Ghazali talks about rejecting the imbalance, he doesn’t say abandon food completely but instead watch what we eat. Ramadan is all about sabr- patience. To be in a maqam of aboodiya (servanthood) shows us that we are always in need of Allah. Allah is active in every moment. He is constantly creating and re-creating. Everything is the unique consequence of Him. Allah didn’t just wind the clock at the beginning of the time and sat back to see everything unwind; our needs which we are not even aware of, He fulfills them. The benefits of physical discomfort like eating less is that we are in a constant state of absolute need, absolute dependence on Allah. He doesn’t need us, but we need Him for everything! When we start to recognise everything is from Allah and He is al-Wakil, we will find tranquillity. People who have always been in hardship will always be in a state of calmness and ease, then those who always have things their way. Sometimes to be woken up, we need to be slapped! * If you seek something false, Allah will make you fall so you restore yourself- this is out of His mercy for you. * Allah gives to whom He pleases, and constricts whom He pleases. He is aware of His servants and knows them well. Allah blesses them with constriction even though its hard, people of Allah will see the constriction as a blessing. There are people that can do without, and people that can’t do without. Allah knows exactly what to give you to help you return to Him. The events in your life are purposeful, appropriate & non random. * The world is a thing by which you know your Lord. The entire cosmos is designed for life in the universe. * Good and evil are both in the providential nature of Allah and in His will. The evil is disliked; don’t judge a thing because you are judging based on your own judgement. If you do Istikhara, whatever happens is good for you. Even if the marriage didn’t work out, the experience was good for you. There is always good in His trials/tribulations. I pray you all are well and in the best of states. Firstly, I would like to apologise for not updating the blog or Facebook page with quotes as frequently as I used to. Alhumdulilah, I was blessed with the opportunity to attend this year’s Rihla in Turkey. Initially, I intended to blog some of the gems our Scholars were providing us with on a daily basis whilst on the Rihla. 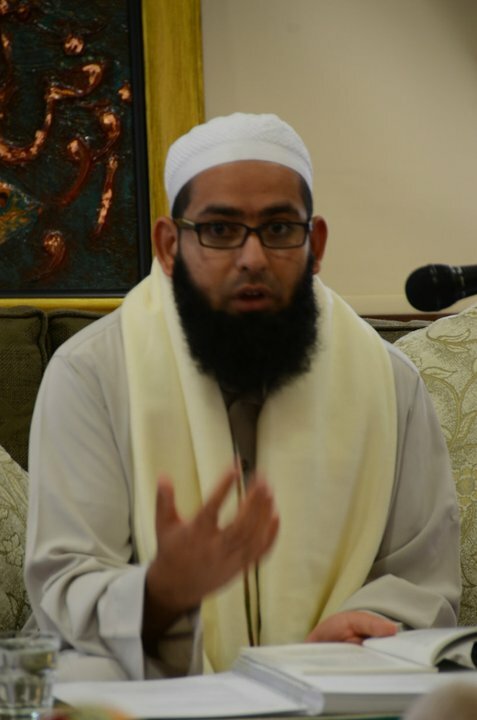 However, I then had a change of heart and wanted to completely disconnect myself from everything whilst on the Rihla, and simply enjoy being in the company of, and sitting at the feet of the Scholars to learn Sacred Knowledge. I usually take my camera with me to most places, but this time, I even left that behind! 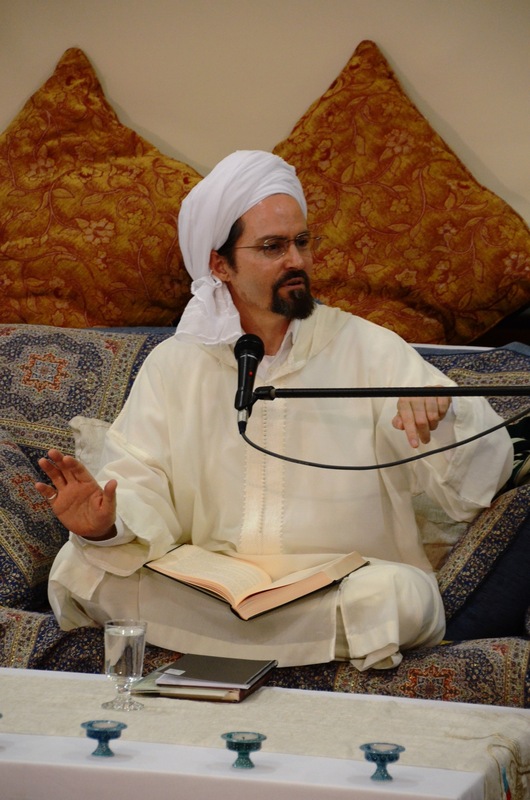 At the RIS retreat last year, Shaykh Hamza Yusuf said something to the effect of how sometimes we should just put away our cameras and experience the moment, and everything around us in that moment, rather then focus all our efforts in capturing the best picture! (paraphrased). I can attest that the experience is really different, if not, much better when you do not have a camera to take shots with! You really can enjoy and cherish those special moments in a more profound and reflective way. The Rihla is an experience, which you won’t fully understand or realize the worth of it until you actual experience it. This year’s Rihla was very special as it focused on the vision and works of Imam al-Ghazali (d. 505 AH/1111 CE). The programme took place in the famous Uludag mountain of Bursa. Shaykh Abdal Hakim Murad said that Mount Uludag has it’s own relationship with the people of hearts! Shaykh Yahya Rhodus mentioned in one of his final lessons that it’s important to share the knowledge we gain with others so they can benefit inshaAllah. With this in mind, I will be posting some of my notes/quotes from this year’s Rihla on the blog over the next few weeks. I will not be able to share all my notes, but what I do share, I hope it benefits the readers. I will also try posting some photos to complement the notes/quotes, but will have to ask other students to provide some photos as I did not take any! The Deen Intensive Social Media team did a fantastic job of tweeting quotes from each lesson, which I hope you all were following. In addition, the Live Stream provided people around the world the opportunity to be part of the Rihla. I would strongly recommend signing up to the Live Stream as you still are able to view the videos from all classes, that is if you haven’t already signed up! Please keep the Deen Intensive Rihla Team in your blessed prayers as they worked really hard to provide a wonderful programme.